oatmeal lace design: prologue: making the bedding. so the newest sewing project I am going to tackle this spring is making the crib skirt, sheets and bumper for baby p's nursery. this is about as ambitious a project as I've ever taken on. you guys...I'm even going to use a store bought pattern for this! this is a whole new realm I'm entering into. should be interesting. :) I'll share the results as I go. 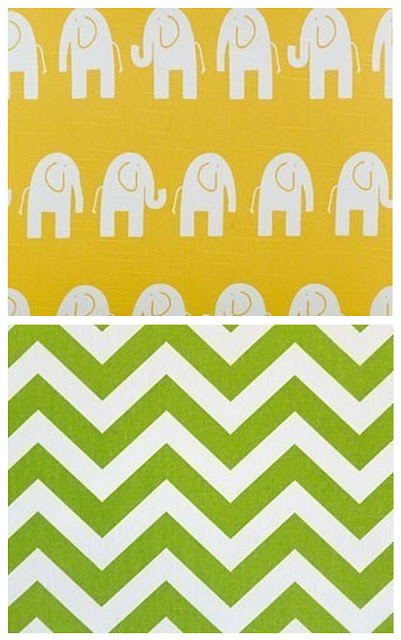 just wanted to share the fabric I purchased for his bedding- super excited about it. found the cutest fabric shop on etsy and the owner, Brooke, was a dream to work with. if you're looking for great designer fabric at affordable prices, head directly to her shop here. what do you guys think? i'm in love! Do I see a new line in Oatmeal Lace's future? the elephant one is so cute! Hey McKay! It's been awhile. I love your craftiness and this color combo is delicious! I'm a follower!